Deadline: 30th of September 2017. University of Essex is pleased to offer scholarship awards to applicants from different countries. These awards are available for high achieving students applying for entry onto any postgraduate Master’s degree programmes at University of Essex. The scholarships will be awarded to any international student from the aforementioned countries, who underwent first degree overseas and is self-funding their postgraduate studies. Awards will be made on the basis of grades obtained in applicants’ first degree, so all applications for relevant courses will automatically be considered. The scholarship is awarded as a partial tuition fee waiver and is available for students on postgraduate taught Masters courses (excluding MBA). Numbers of candidates to be awarded has not been specified by the scholarship provider. Bangladesh:£4,000, Canada:£2,000, China:£2,500, Ghana:£4,000, Hong Kong:£2,000, India:£4,000, Indonesia:£4,000, Japan:£3,000, Jordan:£2,000, Kazakhstan:£3,000, Malaysia:£4,000, Nigeria:£4,000, Norway:£3,000, Pakistan:£4,000, Russia:£2,000, Taiwan:£3,000, Thailand:£2,000, Turkey:£4,000, USA:£2,000 and Vietnam:£4,000. Paid as discount on tuition fee. Candidates who meet all the eligibility criteria and firmly accept the offer by 30 September 2017 will be automatically awarded this scholarship. Applicants will be notified of the award by the end of October 2017. No need to complete an application form. 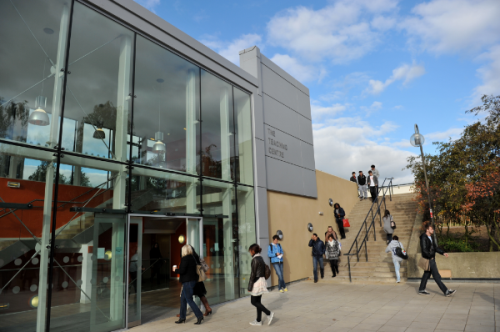 We’ll assess your eligibility based on the academic transcripts and certificates that you submit with your application for your place at Essex. Now that all the information about University of Essex 2017/2018 Masters Scholarship for International Students has been delivered nicely; talented students who are eager to pursue their Free Tuition/Scholarships/Study in UK can apply now.